If you're thinking about getting a new website built for your business, you might have heard about WordPress. We love WordPress here at Public. 99% of the websites we build for our clients use the WordPress platform. We've used WordPress to build websites for Wiley, Greenbelt, David Downton, Lilac Rose and Nicola Jarvis Studio, among others. WordPress is an "open source" website creation tool. The framework is available for anyone to download free of charge - but you need a bit of knowledge (or ideally a web developer) to create a website from this framework. It’s the most powerful and widely-used CMS (Content Management System) around today. You’re in good company if you've got a WordPress website. Famous blogs like Mashable and TechCrunch both use WordPress. This WordPress showcase gives you a flavour of some of the companies and celebrities using it, and this chart shows which content management systems are currently the most popular. 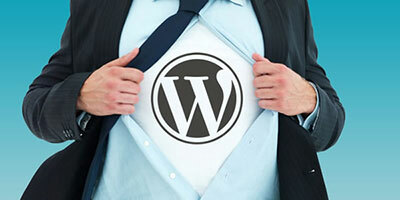 There are many why a WordPress website would benefit your business. No more waiting for your web developer to make simple changes and updates – and paying them for every tiny change. With WordPress, you have control of many aspects of your website and can carry out simple updates yourself. WordPress is very easy to use, even for non-technical people, because the interface is so intuitive. Adding new pages, posts, images, etc. on a regular basis can be done quickly and easily. WordPress started life as a blogging platform, so blogging is built in and easy to integrate. Setting up newsletter subscriptions and commenting is very simple. You can also add your most recent blog posts to other pages of your site, like your home page. "Plugins" are bits of code that allow certain things to happen on your site. They have already been written, so there's no need for your web developer to write this code from scratch. Plugins are either free or cheap to buy. There will be some configuration required – you can't just buy a plugin, press a button and go. If you're not technically-minded, your web developer will do this for you. Plugins allow your site to have features like event calendars, video galleries and Twitter feeds. As the world's most popular CMS, there's a lot of free support out there. If you're not sure how to do something, you can search for it on Google. There's usually someone out there with suggestions! WordPress websites can be set up to sell your products online, using a system called WooCommerce.